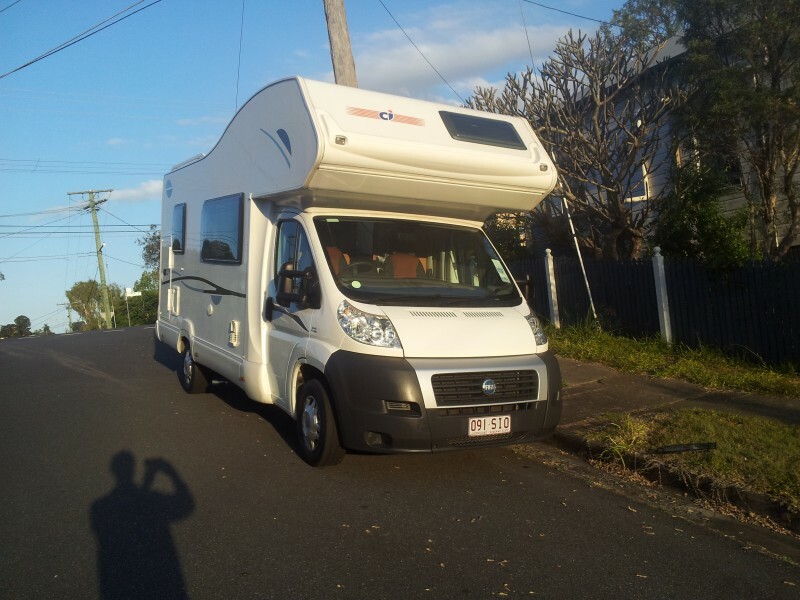 "David and Camilla Guerin's Motorhome"
"David and Camilla Guerin's Motorhome" is owned by David and Camilla Guerin from Brisbane. C.I. Carioca 656. Six berth, six seat. On 2008 Fiat Ducato. Italian built for the UK market. We bought it in Scotland, imported it to Ireland, where we worked for three years, then brought it back to Oz with us in Jan 2012. We suspect it is the only 656 in the Southern Hemisphere. But not positive. 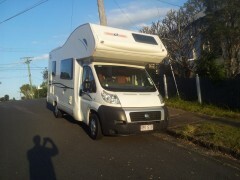 First Motorhome we owned was in Europe in 2007. A McLouise Lagan 440 . In 2008 we bought a VW T5 Transporter, Frontline Adventurer camper which we took to Ireland in 2009. Brought it back with us in 2012 and have just sold it. The kids got too big to fit in the roof top bed so we bought the Carioca.